Last week a new nutrition study caught my eye. Maybe some of you saw it too. The study found a correlation between the red meat consumption and increased risk of all-cause mortality. In fact, each additional serving of red meat per day was associated with up to a 20% greater chance of dying over the course of the study. This was a large study that followed over 100,000 medical professions for 28 years. Every four years, the participants were asked for the details of their diets. Eating red meat was tied to higher rates of cancer and cardiovascular death. The authors of the study suggested that the higher risk of cancer could be due to the potentially carcinogenic substances created by high heat cooking of red meat. Also the link was even greater when participants ate processed red meats like hot dogs that contain nitrites. The risk of cardiovascular death could be related to the saturated fat, cholesterol and iron content of red meat, but this doesn’t seem to be the complete picture. When the authors adjusted the results for participant’s intake of saturated fat, cholesterol and iron, the significance of the link was weakened but still remained. The study suggests we switch out red meat for alternate protein sources like fish, poultry, nuts, low-fat dairy, beans, and lentils. In addition to having less saturated fat and cholesterol, these foods offer other health benefits. Fish can be a source of inflammation fighting omega-3 fatty acids. 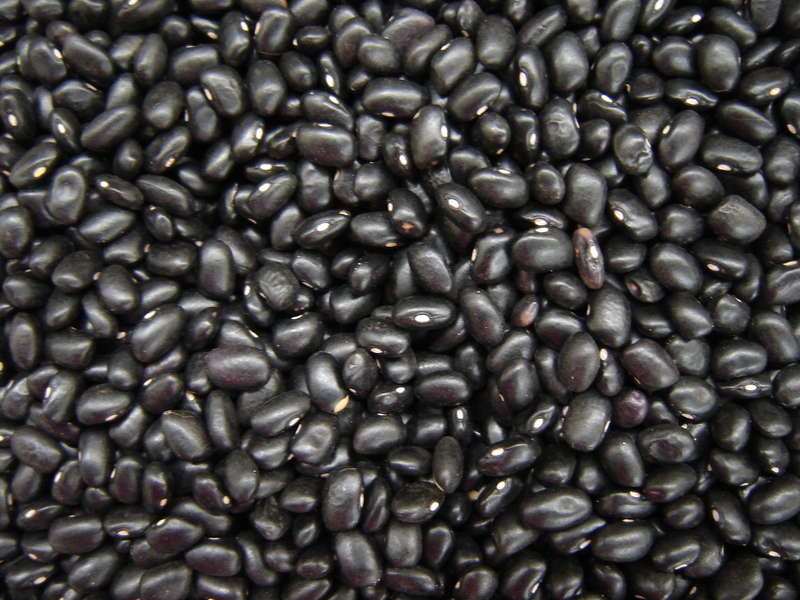 Black beans are currently one of my favorite protein sources. They are high in fiber to help keep cholesterol under control. Their black color is also the result of pigments know as anthocyanins that act as antioxidants and inflammation fighters. These attributes are important for helping prevent cardiovascular disease. One aspect of the study that deserves questioning is whether there is a difference between grass-fed beef and the more common grain-fed beef. Grass-fed beef has lower total fat content when compared to its conventional counterparts. It also has higher omega-3 fatty acid content, though not as much as many fish. Since the study didn’t differentiate between these different kinds of red meat, it may be that grass-fed beef should be considered if we want to occasionally add red meat to our diets. This entry was posted in Health and tagged cancer prevention, cardiovascular disease, omega-3 fatty acids, red meat, saturated fat. Bookmark the permalink. Great blog! Do you know if this beef was fed hormones ever? My theory (only a theory) is that beef, in very strict MODERATION, is good for you as part of a healthy varied diet if it is solely grass fed on organic pasture, no hormones or other meds. I tend to agree with you. I does depend on the person though. Some people may do better with none and others may need more. We are all biochemically unique. I think he has us there.